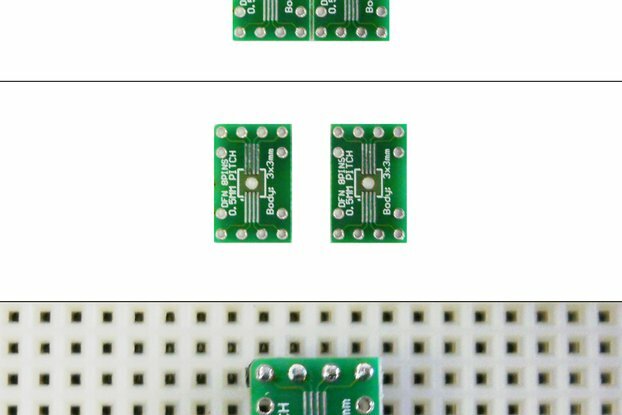 This adapter boards allows you to convert a QFN-20 package with 0.5mm pitch to a DIP-20 package. The dimensions are optimal for use on a breadboard. The pins are numbered for easy prototyping. The outline of the QFN is drawn on the silkscreen for easy alignment. Pin 1 of the QFN package is indicated by a missing line on the silkscreen. 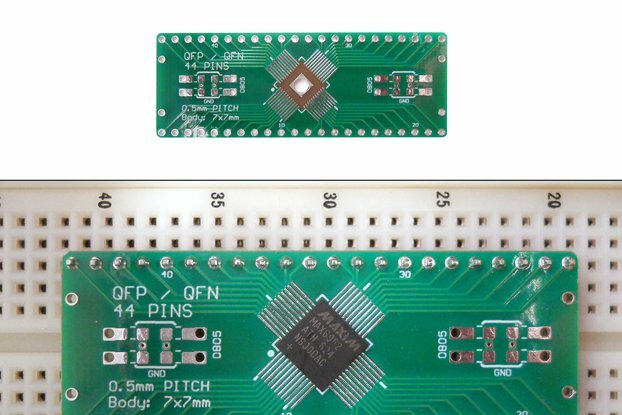 The bottom of the PCB is a solid plane connected to the exposed pad of the QFN20, and is available via a through hole pad at the top of the adapter. Can I get header pins with the adapter? 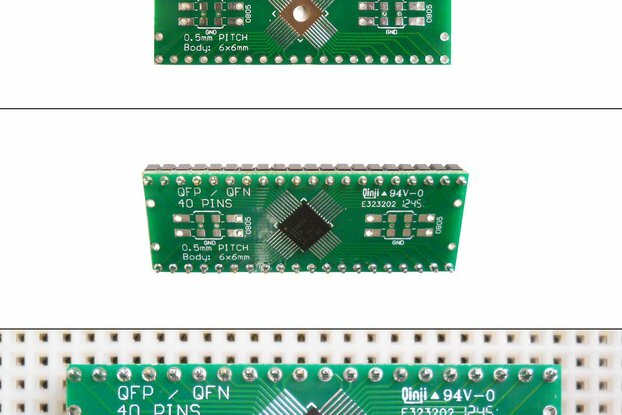 Absolutely, just select "Yes" in the "Include header pins" option when ordering and you will receive 21 header pins (10 for the left, 10 for the right and 1 for the exposed pad) with your order, already cut to the right size. Can I get [insert chip name] with the adapter? Unfortunately no. This is only the adapter board, and you will need to purchase the chip you wish to adapt separately. Anything to check before I order? Yes, do check that your QFN20 chip actually has a 0.5mm pitch. 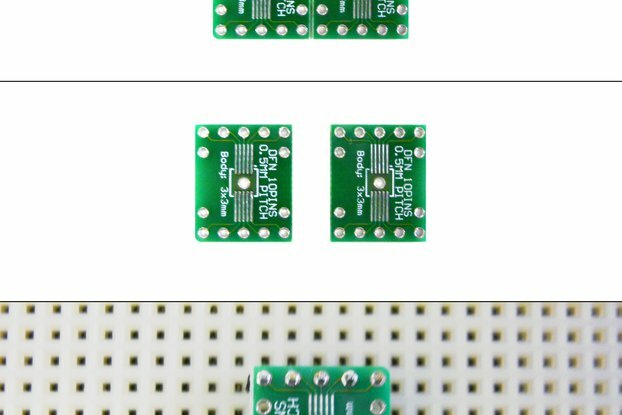 There are some QFN20 packages with other pitches, they will not work with this adapter. If you are unsure what this means, the pitch is the spacing between two pads, and its value can be found in the datasheet of the chip.